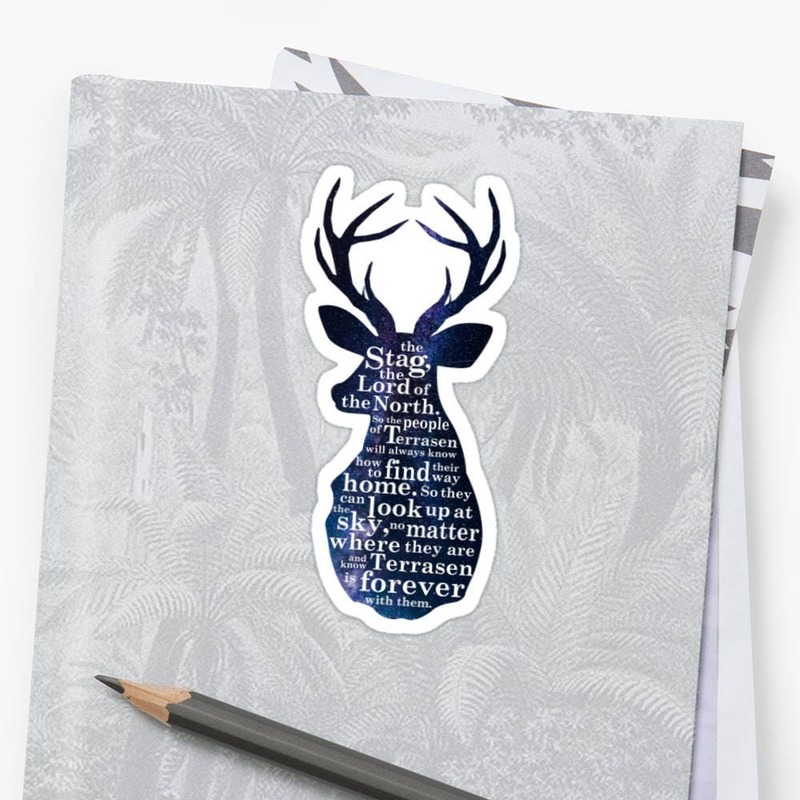 Get one (1) "The Stag, the Lord of the North" removable vinyl sticker inspired by Sarah J Maas Throne of Glass book series. 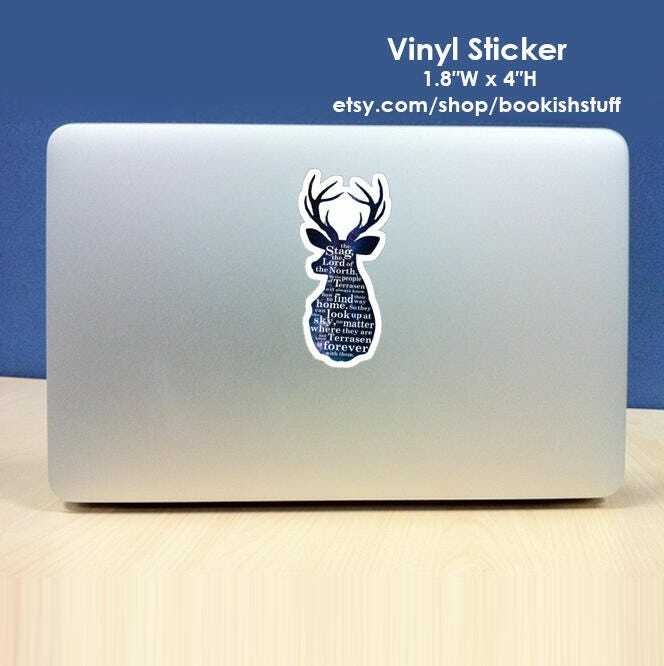 Very cool sticker! The text isn't as sharp as I hoped, but all-in-all I'm not displeased with it and my partner, the recipient of this gift, loved it, which is what mattered to me! A great little sticker I used to decorate my journal. Thanks. Perfect and it's just as described! Thank you!